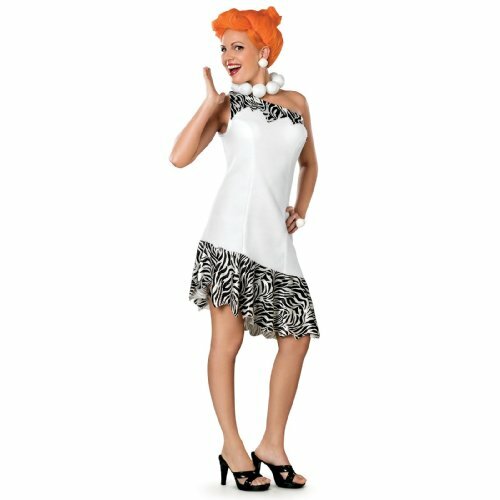 The Flintstones fancy dress costumes are a great idea for any fan of Fred Flintstone and his friends and family. I can’t think of a better crowd than the Flintstones and Rubbles to dress up as for a group costume idea, yabba dabba doo! One of our friends actually dressed up as Barney Rubble many moons ago and did a really good job of it. I haven’t actually seen any of our friends dress up as Fred and Wilma yet though so it could be a great idea for hubby and I this Halloween – what do you think? In a hurry? Shop The Flintstones Halloween Costumes Now! Enough yapping about the Flintstones, let’s look at their costumes….. The Flintstones’ patriarch is constantly scheming, although he has a big heart so if this sounds like you then check out the costume selection below. There’s really no mistaking who you are with this outfit whether you’re saying yabba dabba doo or not! Fred’s long suffering wife Wilma is also instantly recognizable to everyone who grew up watching The Flintstones on television and if you’re looking for a great idea for a couples costume then Fred and Wilma Flintstone certainly make a fun costume idea. So before you can say yabba dabba doozie! 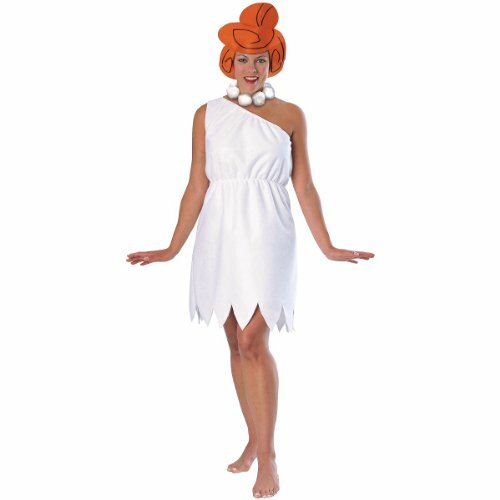 You can dress up as Pebbles and be part of a Flintstones group costume idea. 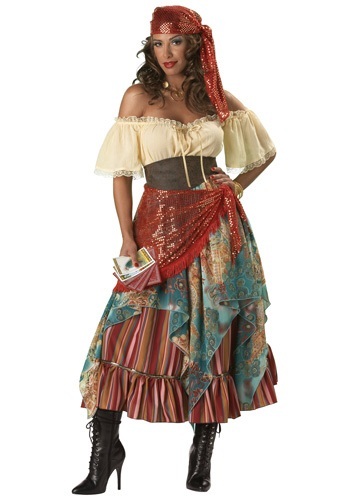 If you’re after a family costume then there are children costumes available as well. You can’t really have Fred without his best friend Barney who would always do ‘whatever you say, Fred’ before they both landed up in trouble! 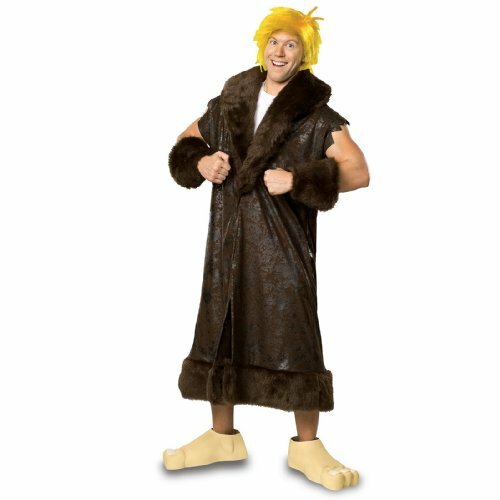 I do have to issue a warning on this costume though …….. a friend of ours dressed up as Barney Rubble for a fancy dress party more moons ago than I care to say and he is still being called Barney by everyone. The look was a little too convincing methinks. This costume even includes the wig so is perfect if you want to dress up as Betty Rubble. I must admit I always preferred Betty’s blue dress to Wilma’s wardrobe. The shoes featured above aren’t included but then I don’t recall seeing her ever wear shoes on the cartoon so I’d go barefoot. 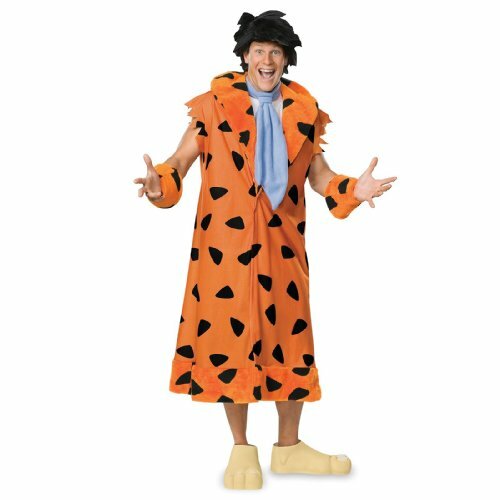 There are a few other options for Flintstone costumes such as Dino the Flintstone’s pet or Bamm Bamm the Rubble’s son, but I think I’ve covered the main Flintstones in this post. 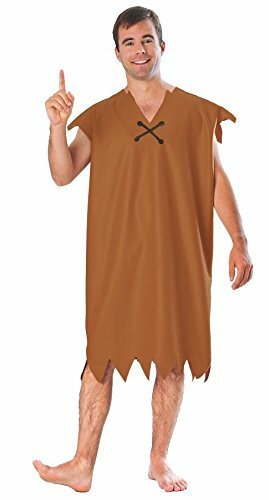 Of course you may decide that you don’t want to buy a ready made costume and the Flintstone’s costumes are quite basic which makes then a great idea for a diy costume. If you’re looking for costumes beginning with F for a themed party then I’ve compiled a great list for you from Fred Flintstone to a French Maid. Fairy – a classic little girls costume, but there’s also costumes for grown ups as well – I especially think men can dress up as the tooth fairy after the Rock’s performance! Fat B**stard – A character from Austin Powers, I seem to know a lot of people who enjoy talking like the Fat B**stard so I’m sure they’d love to dress up as him as well. Father Time – Wear long robes for this costume, some people depict him in white robes while others show him in black robes, what all costumes show is a big timepiece hanging around his neck. FBI officer – wear the standard issue black suit and look like a fed or wear regular clothes and just flash your badge if you want to be an undercover agent, just don’t forget to talk into your watch and wear an ear piece. Fester Addams aka Uncle Fester – Uncle Fester, the Addams Family hasn’t been on air for years and yet they’re all instantly recognizable. Fisherman – you can dress up in yellow wet weather gear as though you’re a trawler fisherman or else you can wear waders and carry a bag with a few feathers on hooks on it (along with a fishing rod that is) and say you’re a trout fisherman. Flapper – there are lots of different Flapper outfits to choose from as well as loads of fun accessories from headbands to long beads, boas or cigarette holders. I love the fashions of the 1920s which is why I love all of the flapper outfits. Check out a whole selection on this page – 1920s Style Flapper Halloween Costumes. 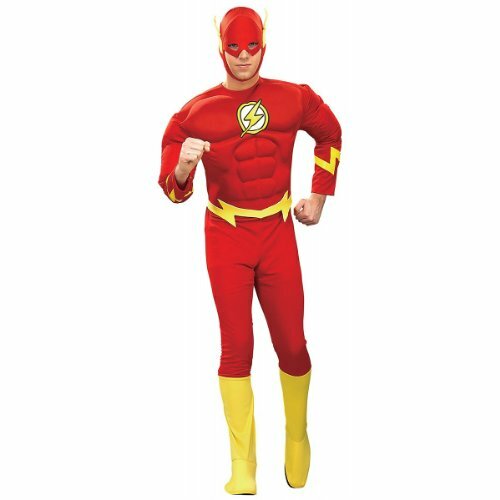 Flash (The) – This superhero has probably gained an even bigger success thanks to the small screen success of the Big Bang Theory where he’s one of Sheldon’s favorite fancy dress outfits. Florence Nightingale – a British nurse from the time of the Crimea war Florence Nightingale is seen as the founder of modern nursing. The outfit you need for this is very much like that of a Victorian scullery maid, including the cap, although rather than the white cotton caps worn by maids, Florence Nightingale’s one was more of a white lace cap. She was known as the lady of the lamp as she would check on her patients at night so getting a lamp to carry would be a great prop for this costume. Flower – A flower is a great costume for if you want a DIY project. Simply wear green for the stem, add face paint the color you want the middle of the flower head to be and then attach the petals around your face (I would use a piece of elastic to run under your chin and over your head. The petals could be made from tissue paper to cardboard or even fabric. Flower Pot Men – Bill and Ben from the old British cartoon. Flower Power Hippie – embrace your inner 60s child with a ‘peace man’ attitude and flowers in your hair! A little outside of the box thinking again for a cool costume idea. Football – I’ve actually seen costumes for sale for both an NFL football and a soccer ball, both of which do look like a bit of fun. Footballer – American footballer from your favourite team or a soccer player the choice is yours. Frankie Stein – a Monster High costume idea, Frankie Stein was one of the original characters from the range. Fred (from Scooby Doo) – Although Fred wasn’t my favourite Scooby character he is still from a cartoon that I loved growing up. It really seems to have struck a chord across generations as my father loved it, I loved it and my daughter loved it! Fred Flintstone – The main character from the lovable Hanna-Barbera cartoon, The Flintstones. Fruit – there’s lots of different fruit costumes from apples to limes and more so you can just dress up as your favourite and if anyone says that oranges start with O, you can simply tell them you’re Fruit which starts with F …….. and then start planning an O party so you can re-use your costume! If you’re after a costume that begins with another letter of the alphabet then I’ve got you covered with that too, simply check out my a-z of costumes page. Back to the letter F and which costume idea is your favorite?